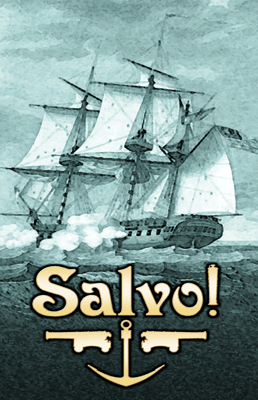 Home Page > Products > All Games > Salvo! 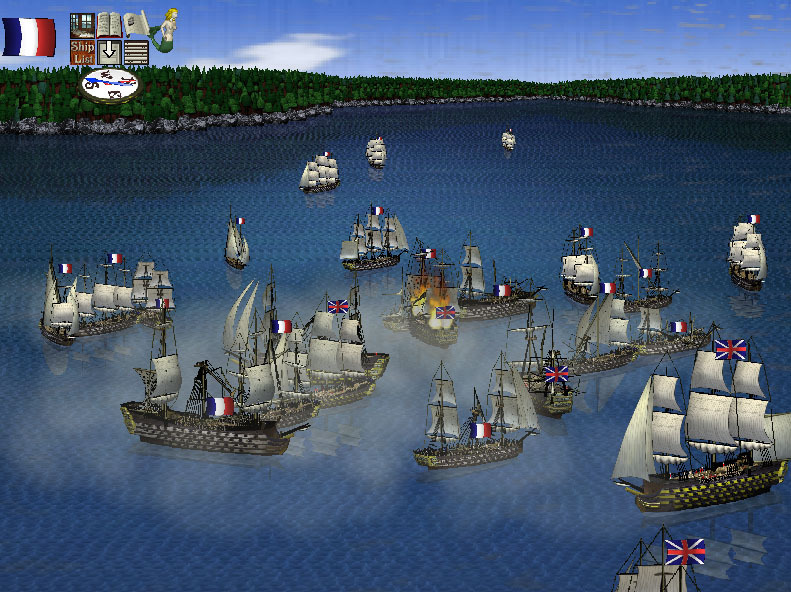 - Single player, turn-based game of naval warfare set during the 17th, 18th, and 19th centuries. 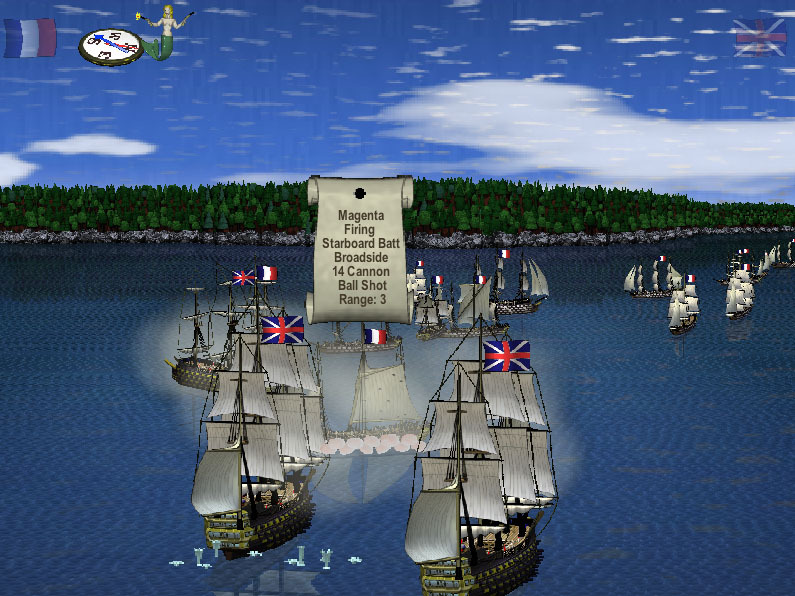 - Eschewing dry tables and charts, combat results are visually represented on the avatars, making combat resolution both beautiful to behold and highly functional to watch. 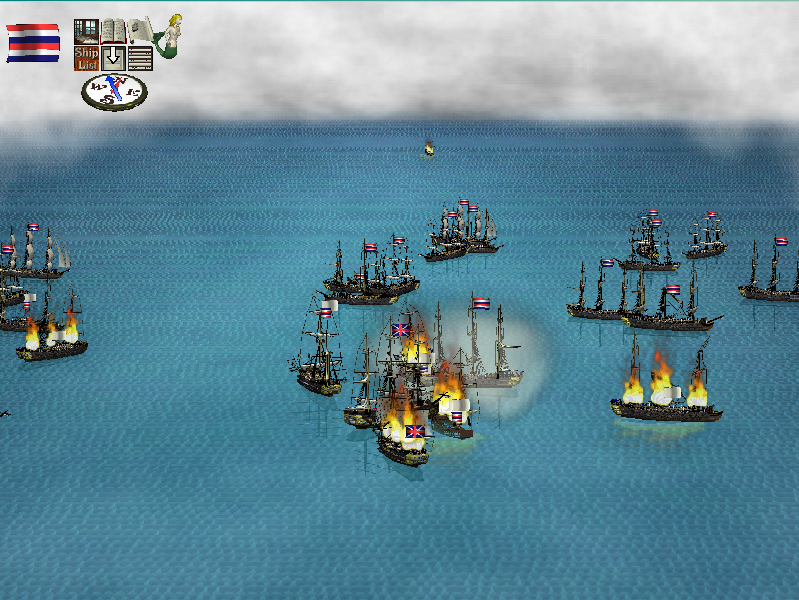 - Everything is rendered in full 3D and directly inspired by the artwork of the time depicting the naval battles. 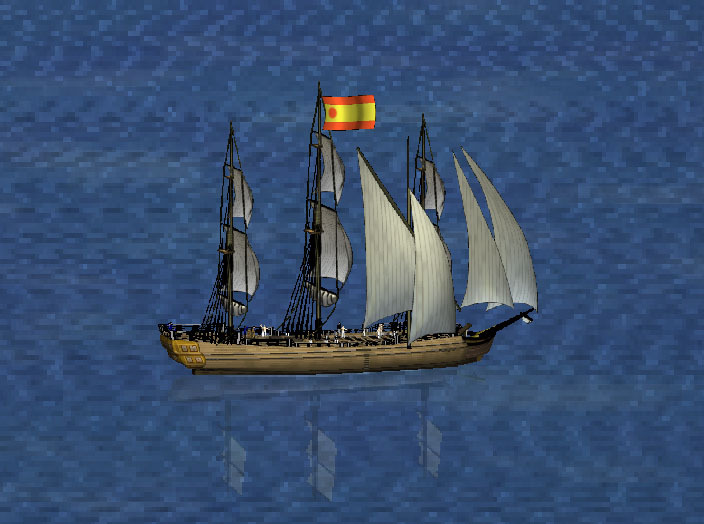 - Command ships from a variety of navies that include the nations of England, Spain, the Netherlands, France, and the United States. 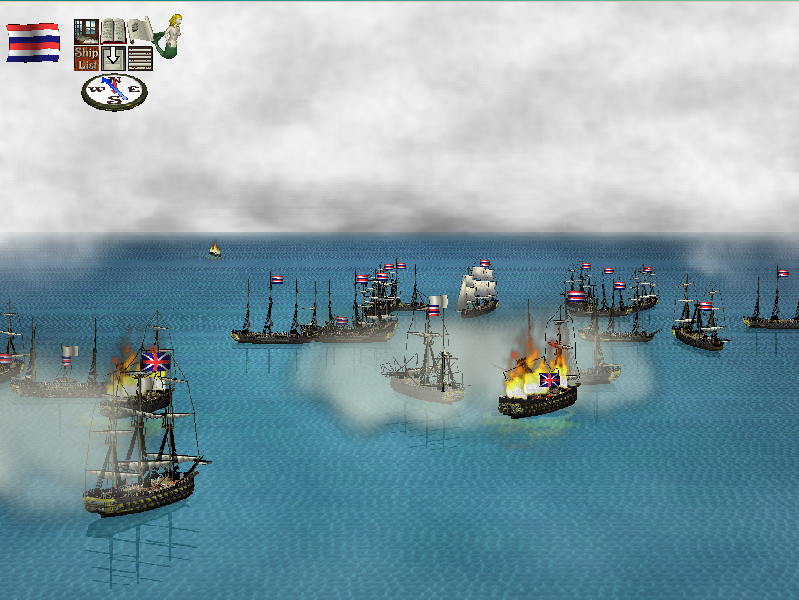 Also get your plundering fix with the pirate hordes of Barbary and the Caribbean. 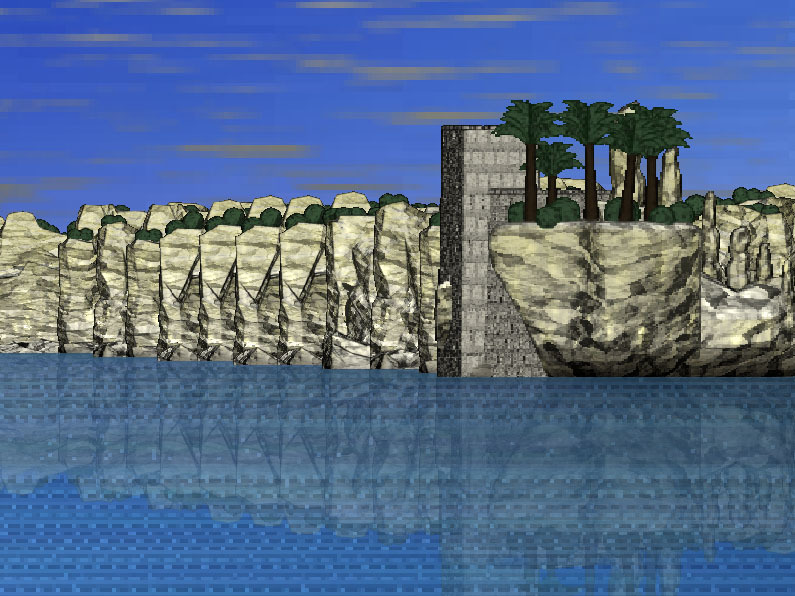 - Land and shallow water! 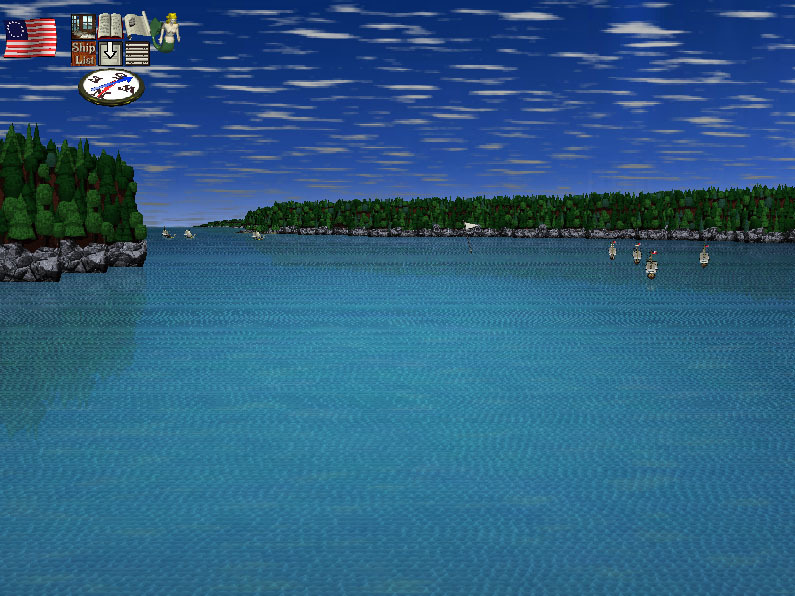 Learn to take advantage of the environment while battling along a coastline. 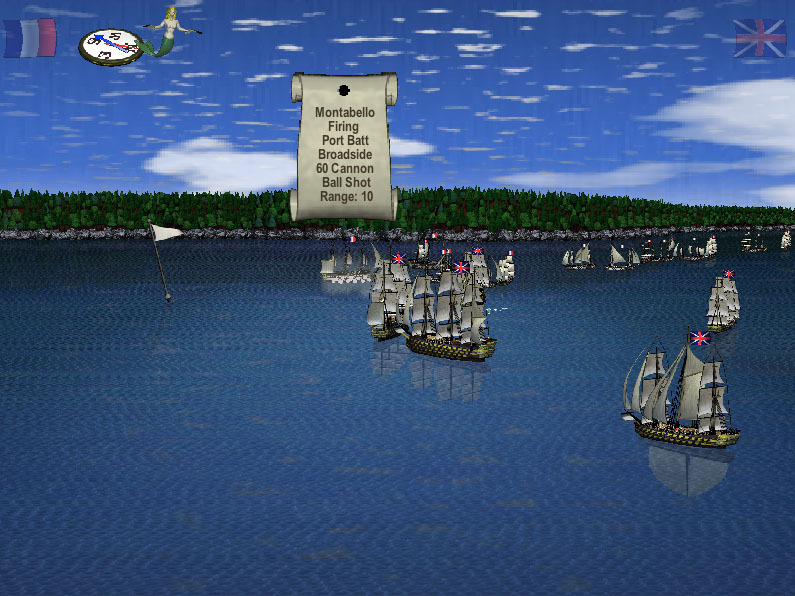 - Variable winds for the ultimate combat challenge! 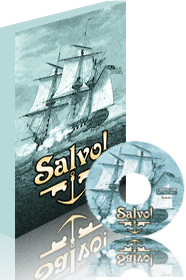 - Easy to use 'Action Marker' system provides precise control for individual ships, while Salvo's squadron controls allow you to direct whole groups of ships at the same time. 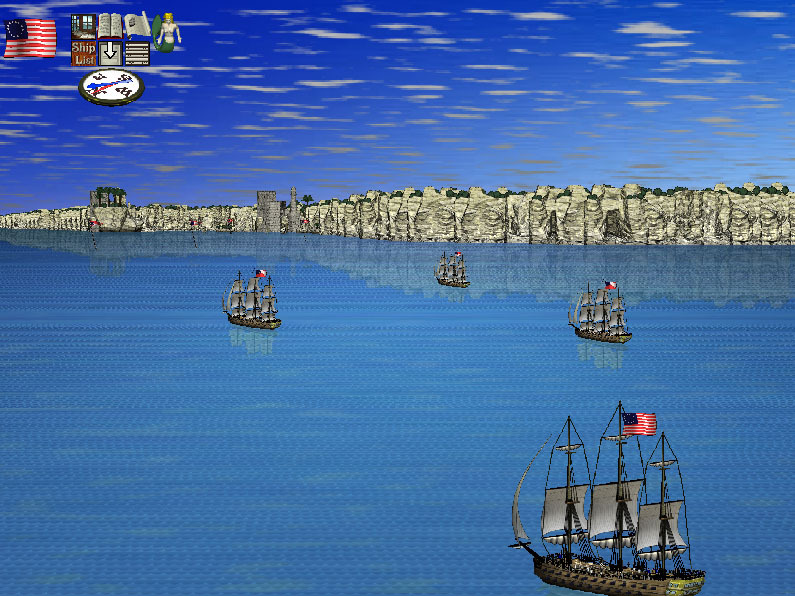 Move, shoot, grapple, board, form a line of battle and more with just a few clicks of the mouse! - Highly intuitive interface makes Salvo! perfect for everyone from landlubbers to old sea dogs. 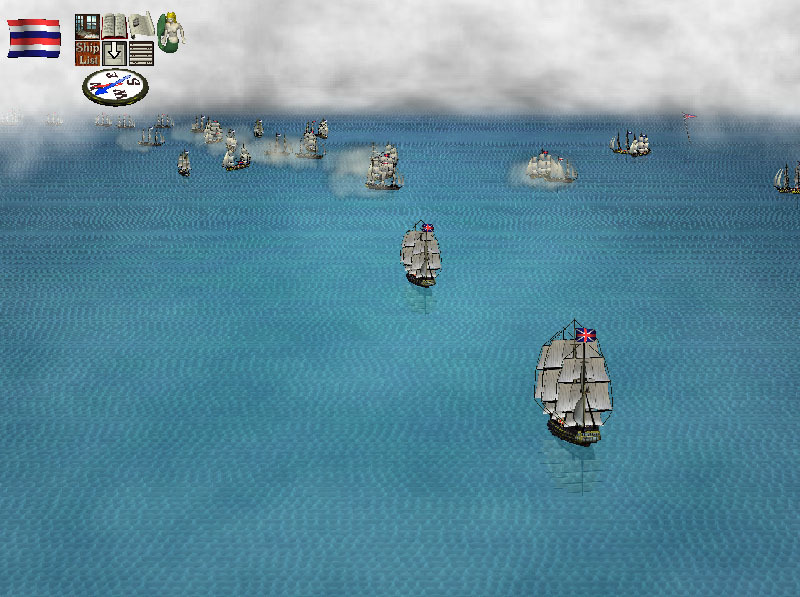 - Age of Sail chrome: fire ships and shore batteries! 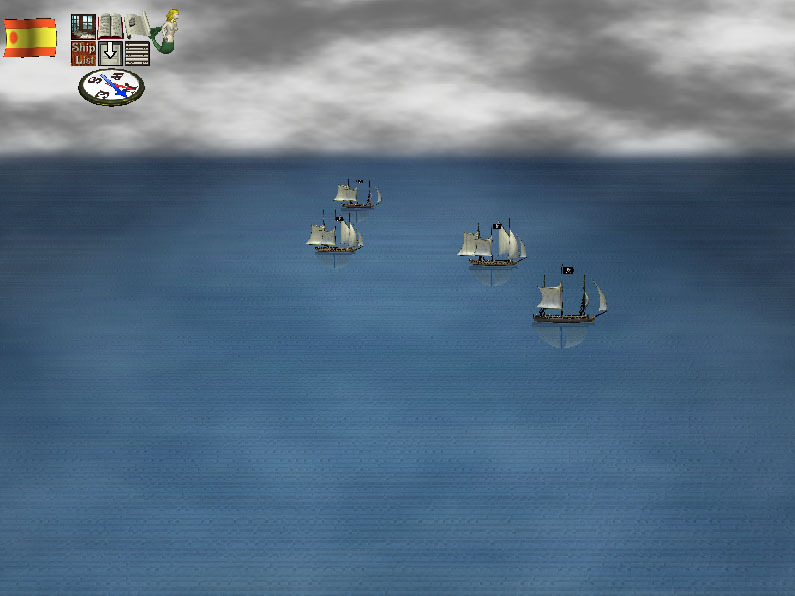 - Branching campaign structure that allows the player to chart the course of the campaign and decide where next to fight. 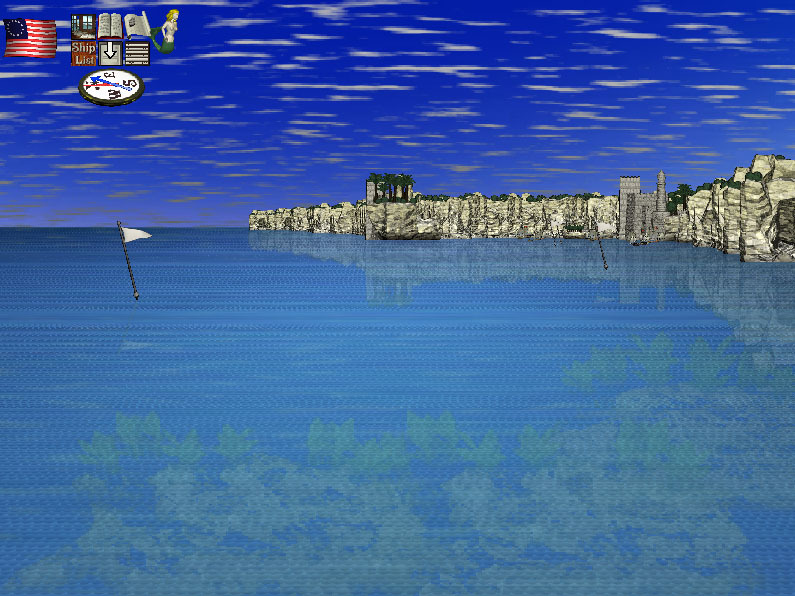 Depending on how one battle goes there can be up to a half dozen possibilities for the next scenario, allowing a huge amount of replayability. - In between scenarios refit and upgrade ships. 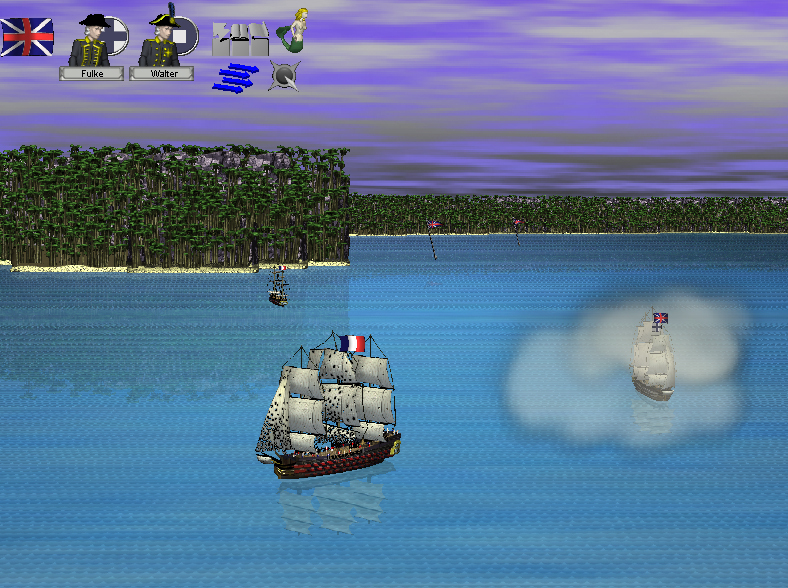 You can even use captured enemy vessels in your own fleet! 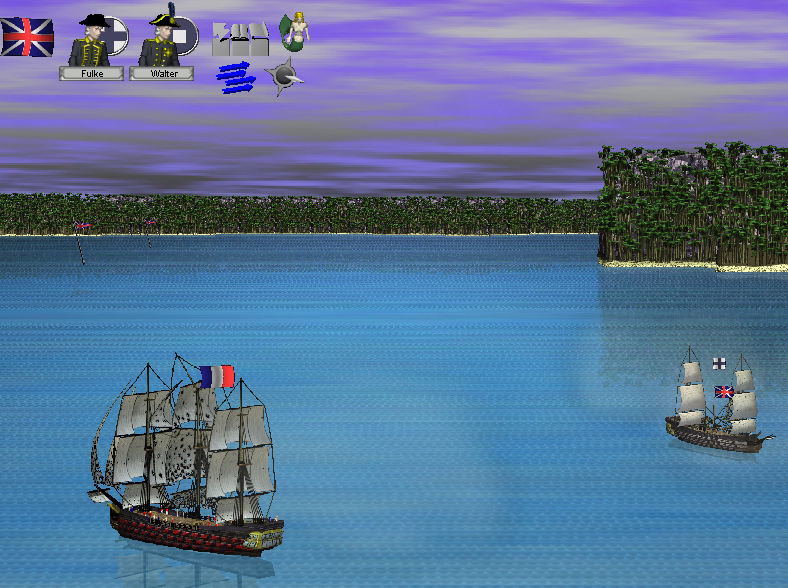 Ships in the game include ships of the line, sloops, xebecs, frigates, gun platforms, and bombards. 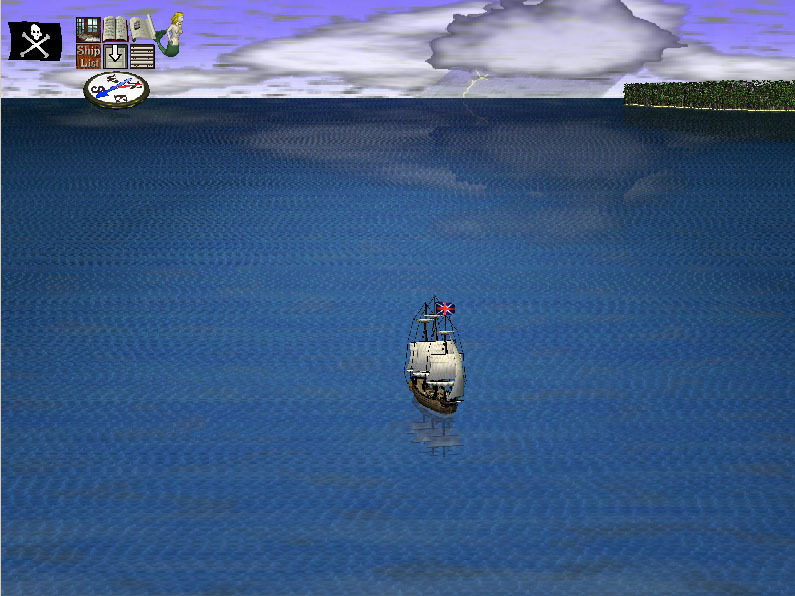 - Once again, pirates!! 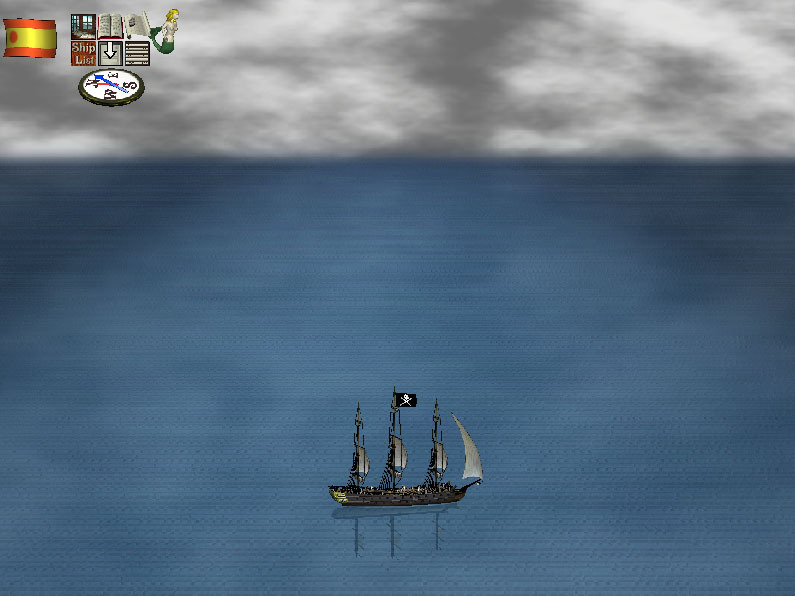 Arrrrrrr!